The main webpage of the CarLibrary.org digital archive project site promotes the use of the open-source Greenstone digital library program for car historians, collectors, museums and collections, to encourage the creation of digital archives. This webpage describes using the open-source ExifTool software and a separate open-source add-on program, the ExifToolGUI (Graphical User Interface), to improve the identification - and eventual classification - of digital photos and scanned images in nearly all image formats and PDF files. 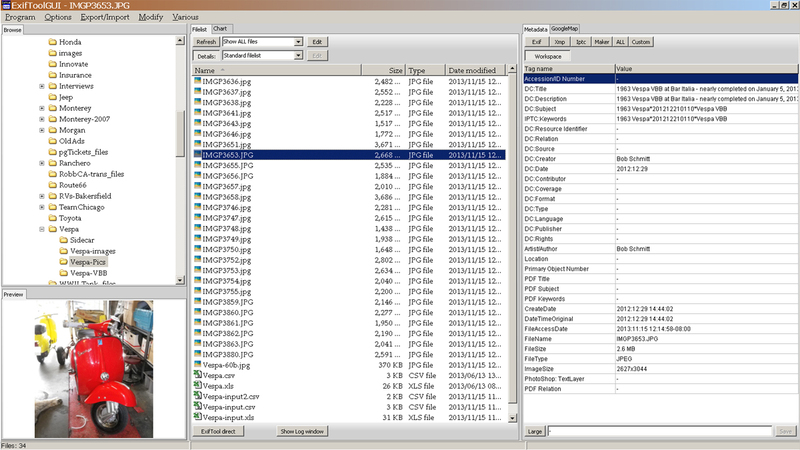 The ExifTool provides a very powerful tool to read metadata from an entire folder of JPG images - or any set of folders and subfolders of digital files - into a CSV file, which is easily imported to Excel. 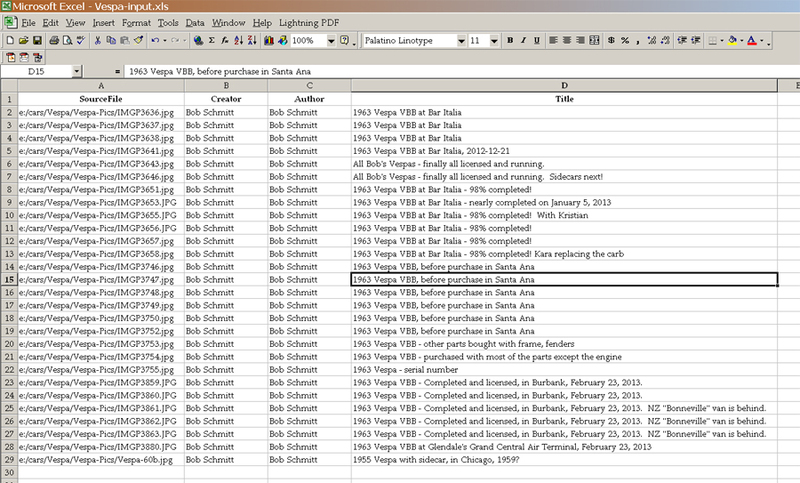 In the Excel file, incorrect or missing metadata of each file/record/image can be fixed. That Excel file can be used to import this "inventory of digital assets" into digital library software (Greenstone), a database or a Collections Management System (CMS). 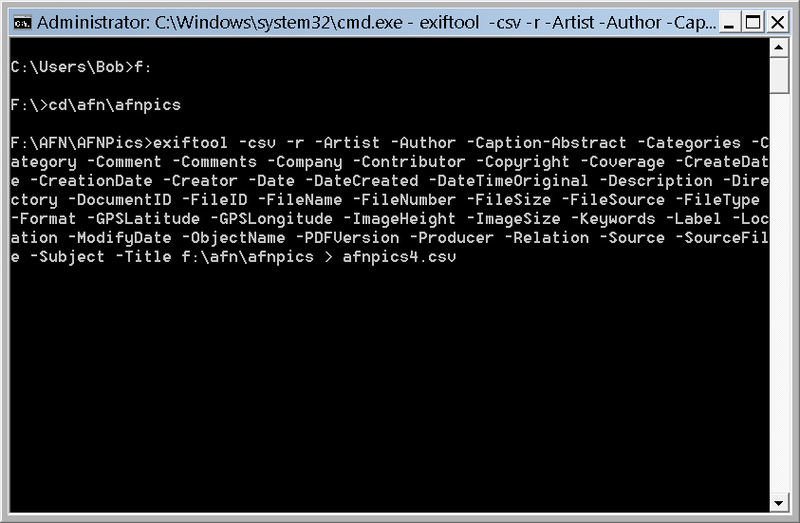 It can also be used to "write" the updated metadata back into the image (or other digital files). 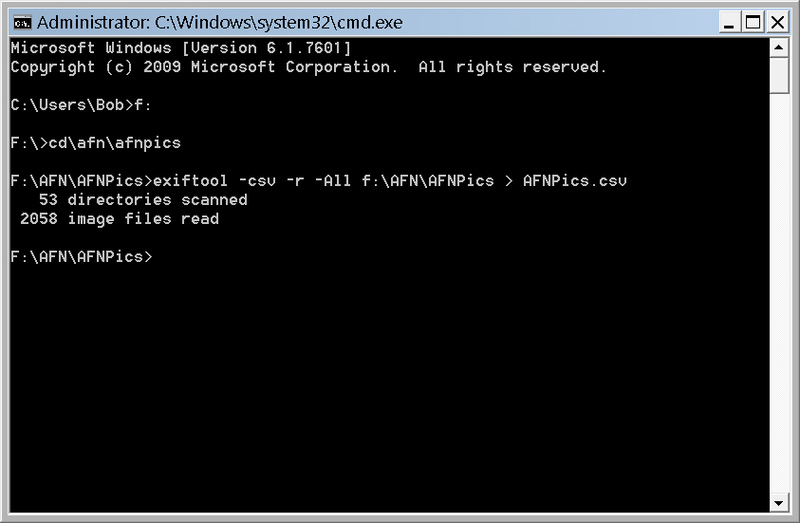 Although the ExifTool must be used from Windows (or Linux) through the "command line", which may be daunting for users accustomed to a graphical interface, its power to create archive/collections inventories - and files with useful embedded metadata - should justify the steps necessary to master its use. Highly recommended! 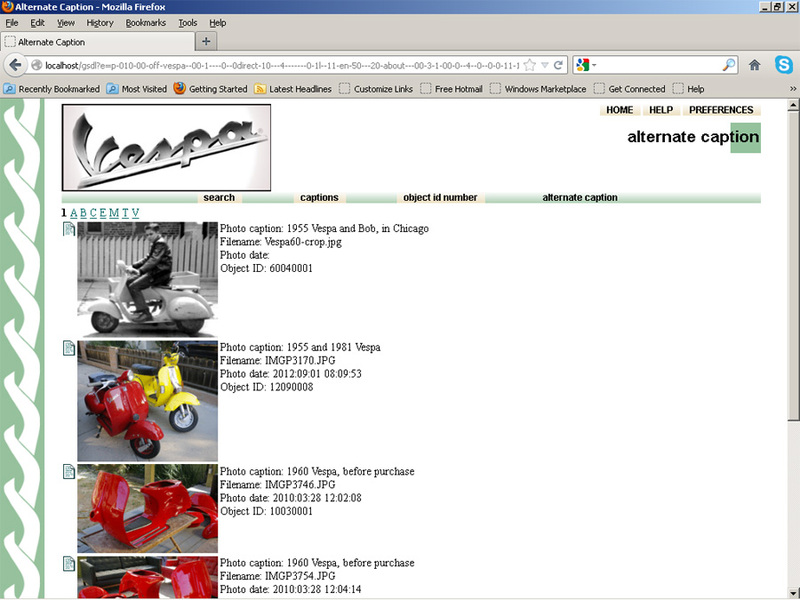 This webpage mentions using Picasa for basic photo captioning and metadata tagging, including location tagging. "Desktop" Picasa will function indefinitely for this use. Software ("app") program recommendations will be updated as replacements become known. 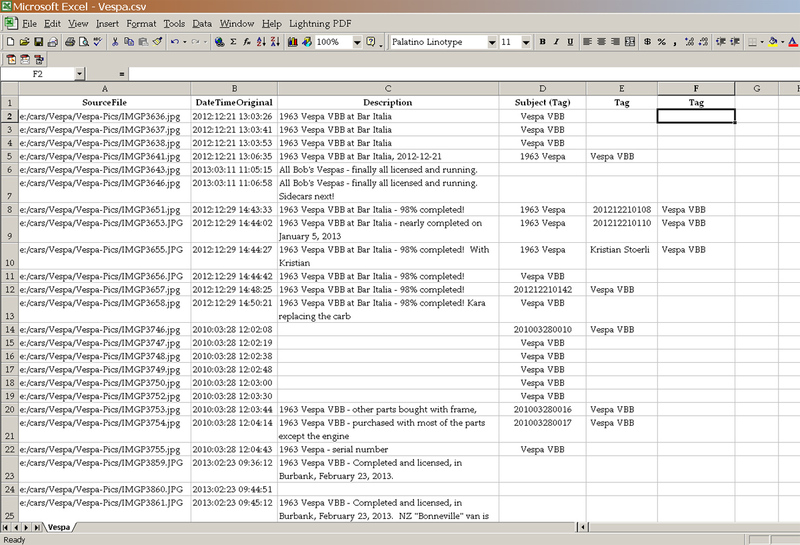 When it was executed, it produced a very useful Excel file, after some formatting for better display. 1. 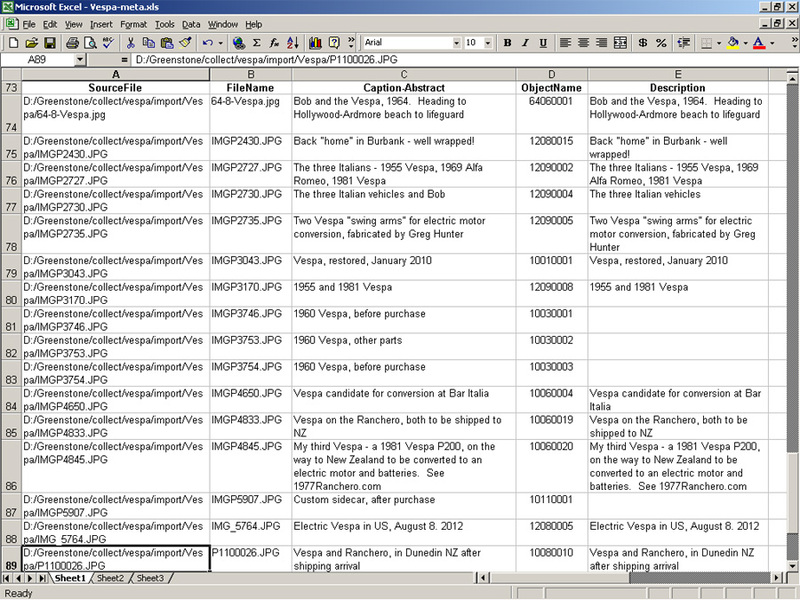 Extract the metadata from your photos by making a CSV/Excel file as described in section D, above. 6. 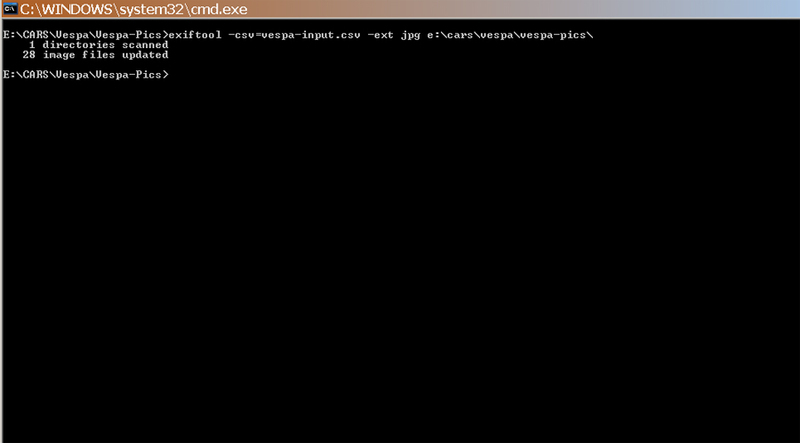 Open a Command window (see step C above) and change to the drive and directory where your photo to be changed are located. 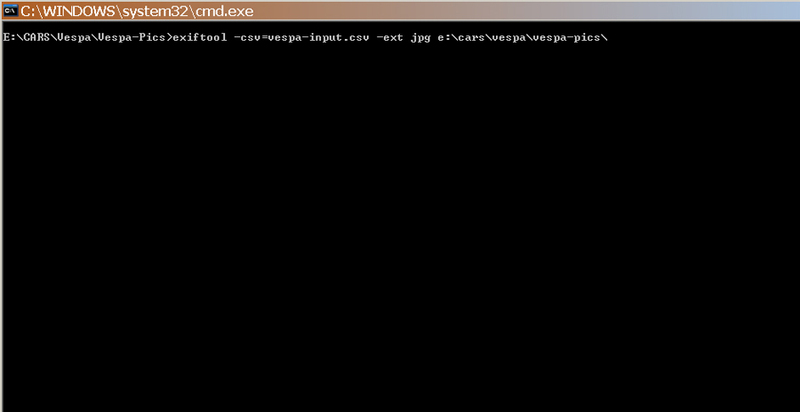 The ExifTool ability to add and/or replace specific metadata in images (and other file types) with new data from a CSV file (a standard file type export from Excel) is VERY useful. To conform to "best museum practice", an accession number as a "unique ID" can be very easily added as a column in the Excel table (as above), which is "saved as" a CSV file and then used to update a full directory of images. It really works! You can use these commands directly if you change the red italic file names and locations to your file locations and names. 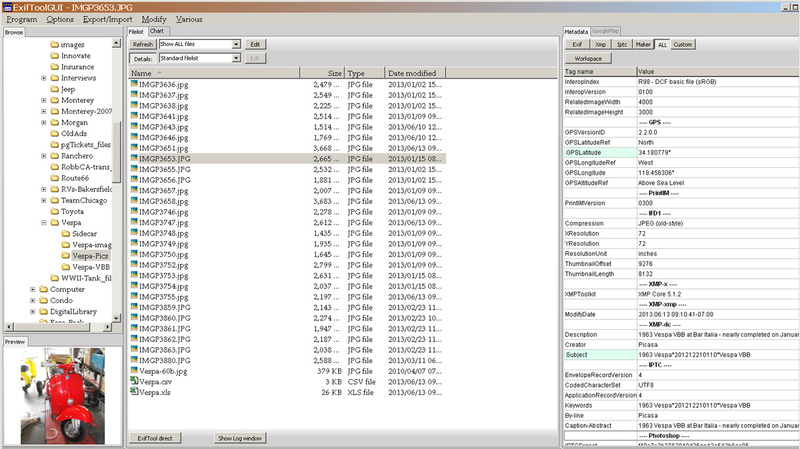 2. Review the resulting Excel file ("save as" from the CSV output file) to determine which metadata categories will help organize these collection assets. The Dublin Core categories should have high priority. This review of the ExifTool is frequently updated as we gain experience with these very useful tools.